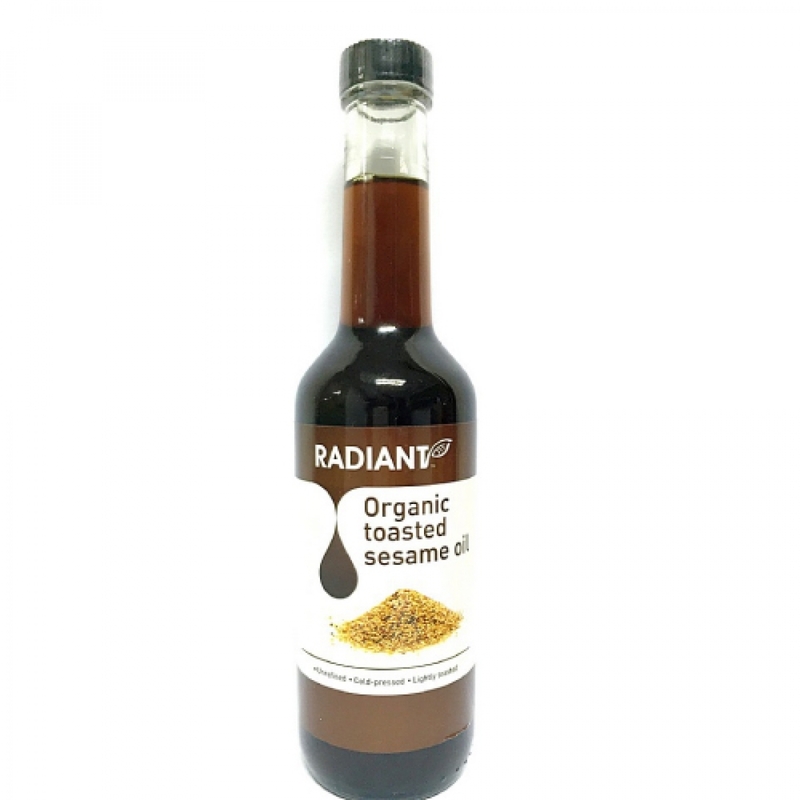 Radiant Organic Toasted Sesame Oil is cold pressed from very carefully toasted, high quality whole sesame seeds to produce a fragrant, rich and nutty flavor oil. No chemical solvents, additives and preservatives are used in the processing of the oil. Only small quantities are needed to liven up dishes. It is great for Asian dishes like stir-fry, dressing, sauces and marinades.